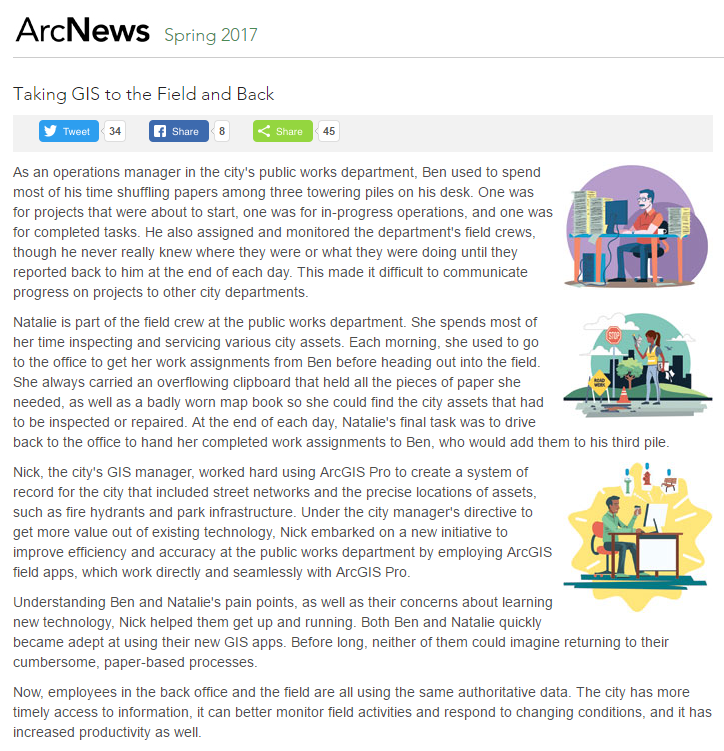 ESRI™, a leader in mapping and spatial analytics software, has recently provided an article covering old vs. new methods of mapping on their ArcNews page. This article works to explain how ESRI’s software comes together to create a seamless mapping workflow from field to office. As a long-standing partner of theirs, we’re excited to share. Call us biased, but using ESRI software on Juniper’s rugged data collectors and our new Geode Sub-meter GPS Receiver is the ideal way to completely transform your current workflow system and improve accuracy and communication, saving hours of time and money. Check out the full article below to understand how you can integrate ESRI software into your current practices.